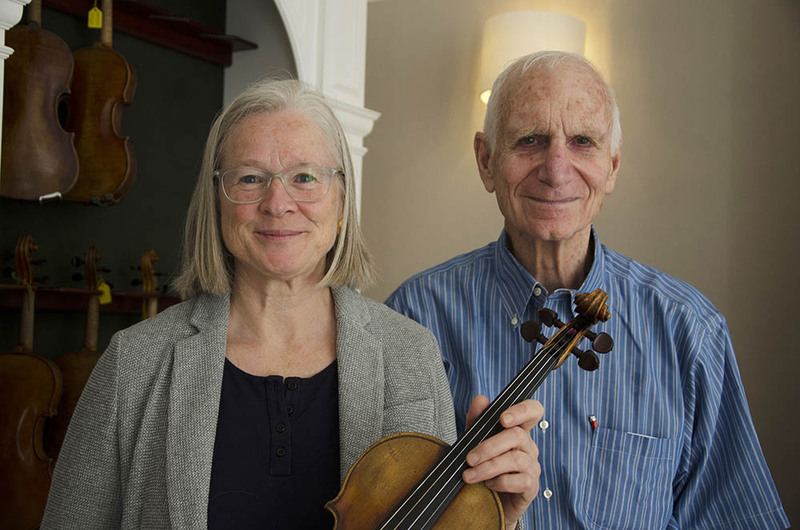 The Harrison-Frank Family Foundation was set up in 2014 as a charity which owns and lends a collection of fine old Italian, French, Dutch and English violins to young professional musicians. Richard Harrison, originally from the USA, is a naturalised British Citizen who was also an amateur violinist and who wanted to give something back to his adopted country. A chance meeting in 2012 with violist Louise Williams at Wigmore Hall on a Monday lunchtime concert, when the BBC announcer exhorted the audience to talk to their neighbours, led to the idea of purchasing a violin to lend to a young player. Mr Harrison’s understanding was that some string players leave their conservatoire with instruments that may be rather inadequate for the concerts, auditions and competitions which they are engaged to play. Often these musicians are having to hand back a fine violin which they have been able to borrow from their conservatoire during the years of their studies. Purchasing an instrument of sufficient quality for a professional career is often not an option, since these instruments are usually unaffordable for most young players. There are currently 48 violins, 1 viola and 5 bows in the Foundation’s collection. All the instruments have been acquired for the foundation by Richard and his wife Barbara Frank Harrison, in collaboration with J & A Beare who have helped to set up, maintain and run the scheme. Loans are arranged on a renewable annual basis, with the option of extending up to 5 years, until the musician is established and earning enough to think of buying their own violin. The instrument can then be released to lend again to another qualifying applicant.